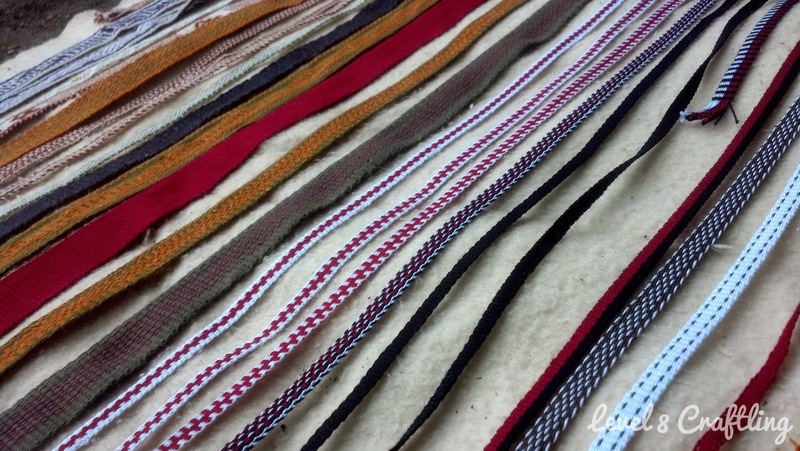 This post is all a bunch of random photos of inkle weaves I have made! 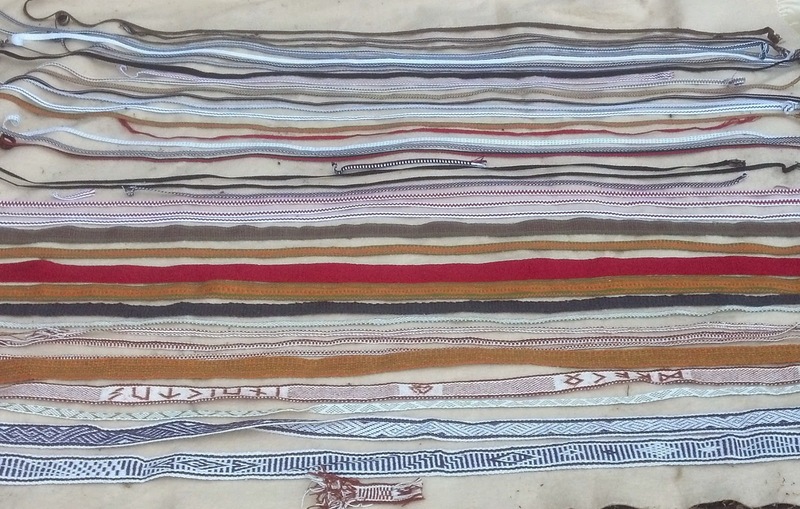 Above is some of the Midrealm trim that I donated as largesse in January. 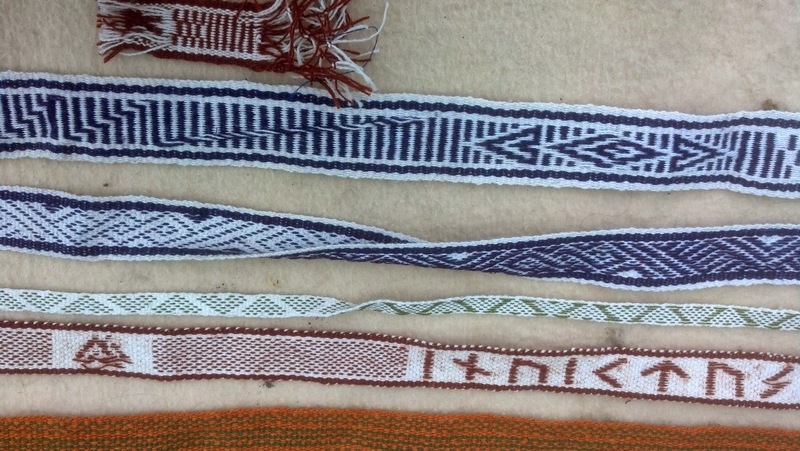 A few years ago, I laid out my current stash of weaving on a blanket to take some photos of it (my photography skills have improved since then). I still have a few of these weaves in my bag o' weaving prizes, but a lot of them have been given away by now. I'll take some updated pictures of the stash soon so people can see how it's evolving! 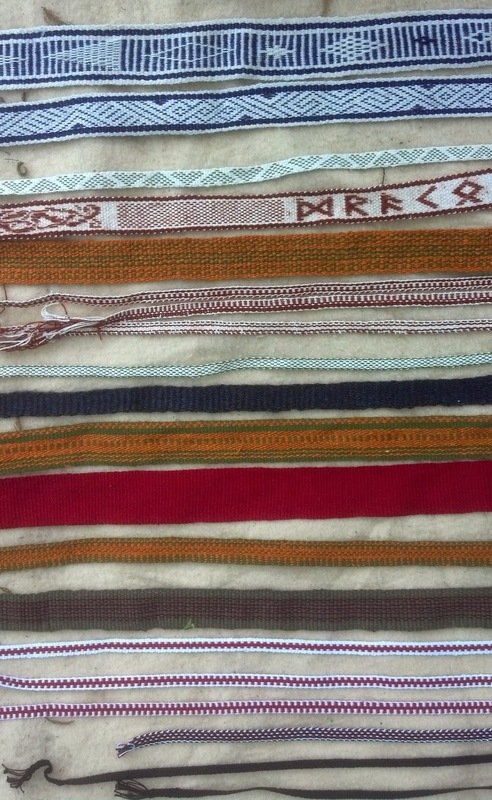 The top four weaves below are pick-up weaves, and the rest are regular inkle weaving. The top purple and white is a pick-up method using stripes. It's neat, and I've seen a lot of people do amazing things with it. I'll craft a post explaining some of the techniques with it at some point, but this is the only stripes pick-up weave I've done - my brain just likes making patterns with checkerboard/baltic pick-up weaving better. Then we have a pseudo-celtic weave, a weave based on the Midrealm award the Dragon's Heart, and a weave with Viking runes. My weave with the Purple Fret award symbol on my loom! Finally, a picture of some Cynnabar-themed weaves that I donated to the prize cache at Grand Day of Tournaments a couple years ago.